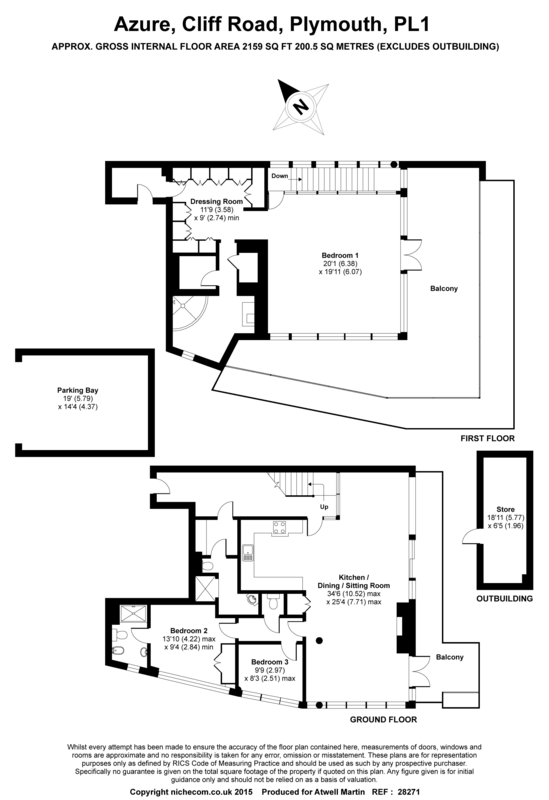 2,159 sq.Ft. 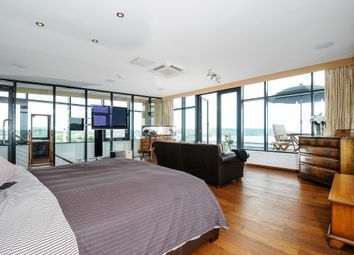 34' Sitting/Dining Room, Kitchen, Utility, Cloakroom, 3 Bedrooms, 2 En Suite Bathrooms, Family Shower Room, Dressing Room, 2 Secure Garage Parking Spaces, Large Lockup Storage Room, Wrap around Roof Terrace and Balcony. 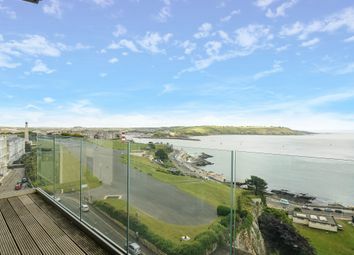 Plymouth waterfront 0.2 miles, City Centre 0.5 miles, Barbican 0.5 miles, Exeter 45 miles, Plymouth Rail Station 1 mile. 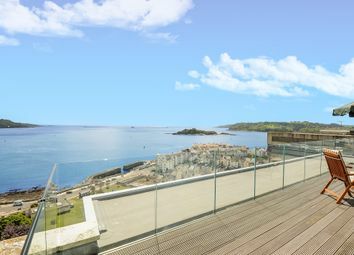 Location Azure occupies a prime position on Plymouth's historic Hoe Promenade and takes its place alongside a fine example of decadent and imposing listed buildings that dominate The Hoe. 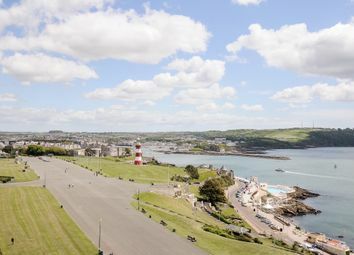 Plymouth Sound, with its impressive maritime history, provides a captivating scenery with passing naval and commercial vessels, small craft sailing boats and The British Firework Championships from Mount Batten Pier in the Summer. 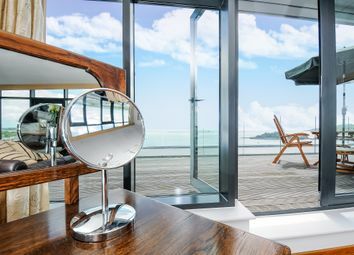 The Barbican, with its array of restaurants, boutique shops and cobbled streets is within easy walking distance together with the City Centre offering a wide selection of shopping and recreational facilities. 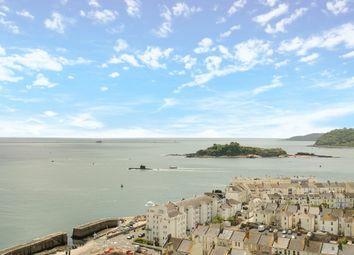 description & further information Commanding a stunning "world class" panorama with views from Dartmoor in the East, across the waters of Plymouth Sound and The English Channel, to Mount Edgcumbe, the Rame Peninsula and River Tamar in the west. 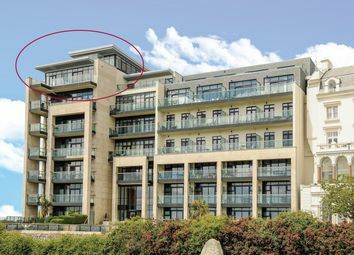 The apartment was purchased off plan by our clients' when Azure was launched in 2002 and has been carefully designed and finished to the highest specification throughout, with a range of bespoke fixtures and fittings creating a unique and sumptuous penthouse apartment with no expense spared, in a magnificent and unrivalled waterside setting. 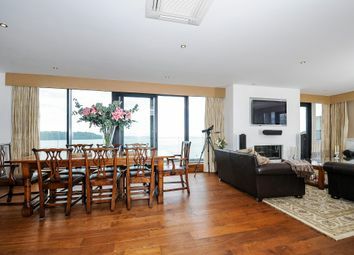 * Stunning open plan sitting/dining room with exceptional far reaching sea views. 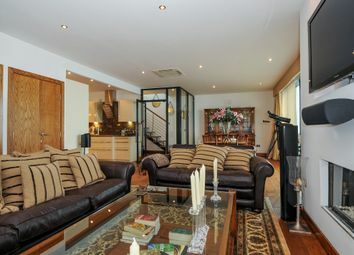 * Spacious accommodation arranged over two floors. 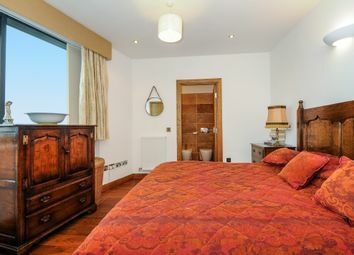 * Luxurious master suite enjoying approx 300 degree views. * Indulgent master en-suite with Jacuzzi illuminated bath. 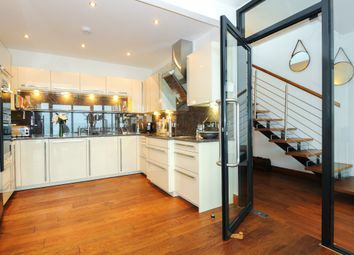 * Superb kitchen with polished granite surfaces and Miele appliances. 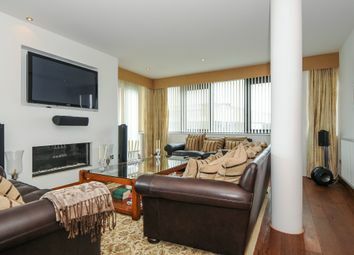 * Utility room with Miele appliances. * Portuguese cut marble slabs to walls and flooring in all three bathrooms. 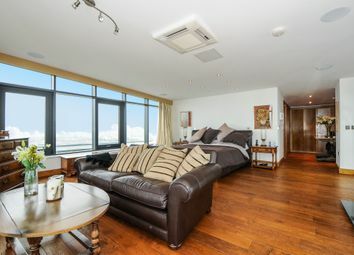 * Oak flooring running throughout the apartment. * Integrated audio and sound system. 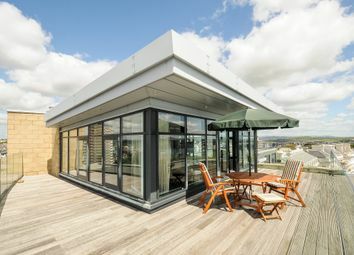 * Decked roof terrace and balcony on southern and western sides with seamless glazed screens. * Two secure, garage parking spaces located in separate carport area. * Large lock up storage room in garage area with power and lighting. * Audio visual entry system. 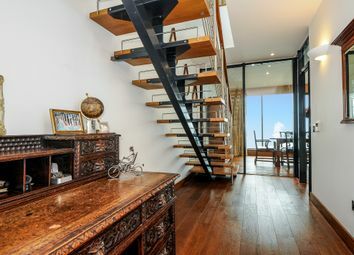 * Lift and staircase to 8th floor. * Powder coated aluminium framed double glazed windows and doors. 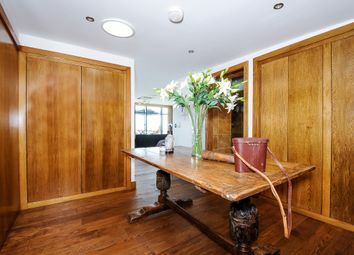 * Impressive entrance vestibule and concierge desk. 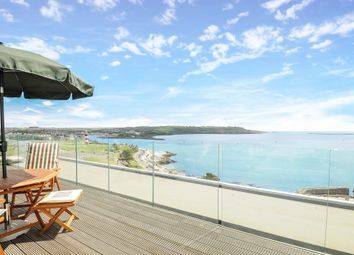 * Communal gardens overlooking the Hoe and sea front. 999 year lease from 2007. Ground Rent £400 Per Annum. Service Charge £6082.42 Per Annum. Services Gas fired central heating served by a pressurized hot water cylinder and Keston boiler, mains electric and water. Viewing and negotiations Strictly through the vendors' agents. Atwell Martin . Directions Cliff Road lies to the western end of The Hoe Promenade. From Western Approach cross Union Street and rise up the hill to turn right beside The New Continental Hotel. Continue to pass the Duke of Cornwall on the left and turn left at the roundabout rising up into Citadel Road. Continue up the hill for about a quarter of a mile to take the second turning on the right into Leigham Street. In about 150 yards, at the T junction with Cliff Road turn left and park at this point to gain access to the principal pedestrian door. Note: These details are believed to be materially correct although their accuracy is not guaranteed and they do not form part of any contract. All fixtures and fittings mentioned in these particulars are included in the sale, all others are specifically excluded. Measurements are given as a guide only and should not be relied upon for carpets and furnishings. The Agent has not tested any of the services, fittings or equipment and so does not verify that they are in working order. Want to know what people who know the area really think? Use the link below and see all the results for PL1 area.